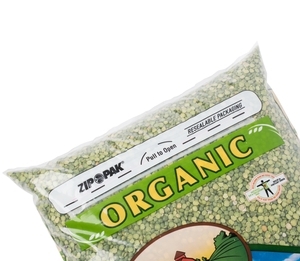 Organic Dried Green Split Peas - 25 lb. 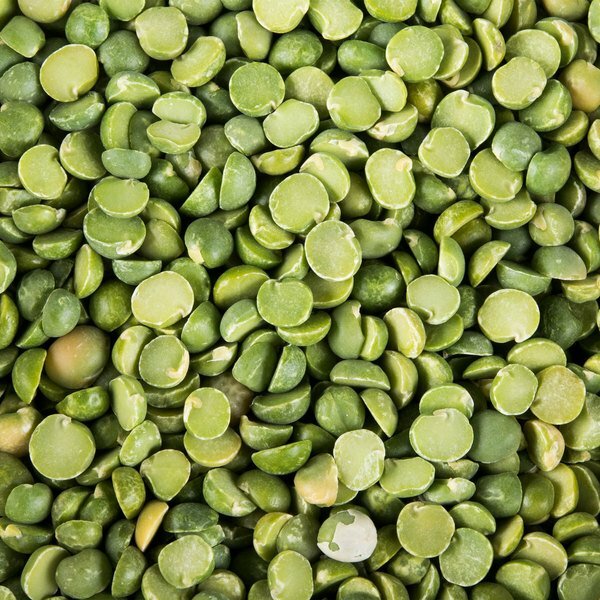 Add a natural, delicious ingredient to your dishes with these organic green split peas! Whether you're serving soup, salad, or a creamy spread, these split peas are the perfect addition to complete the meal. These organic beans are free of pesticides or dyes, making them excellent for your environmentally-conscious business. This 25 lb. 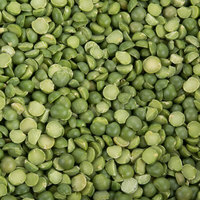 bulk supply of green split peas is great to have on hand at your restaurant or buffet! "Love the fresh taste of these dried organic green split peas when cooked. They have a great taste and are well packaged. The price is great." 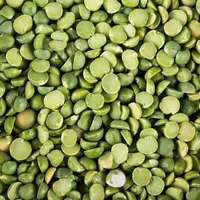 Green split peas are a great addition for health conscious businesses, thanks to its high protein and low fat content. They're also great for vegetarian and vegan dishes. These small, yet powerful beans are sure to pack a powerful punch in any soup or salad! Plus, the signature earthy flavor makes it a staple ingredient to stock in your pantry. Dried green split peas are easy to store and portion. Like all dried beans and peas, they require a soaking process before cooking and serving. Though canned peas may seem either too firm or too mushy, your staff can cook these dried green split peas to fit your personal preferences. 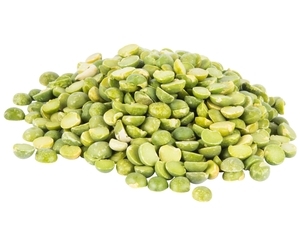 Item #: 111SPLPEAORG Organic Dried Green Split Peas - 25 lb. 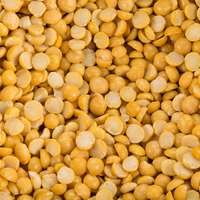 Item #: 111PEASPLTYL Dried Yellow Split Peas - 20 lb. 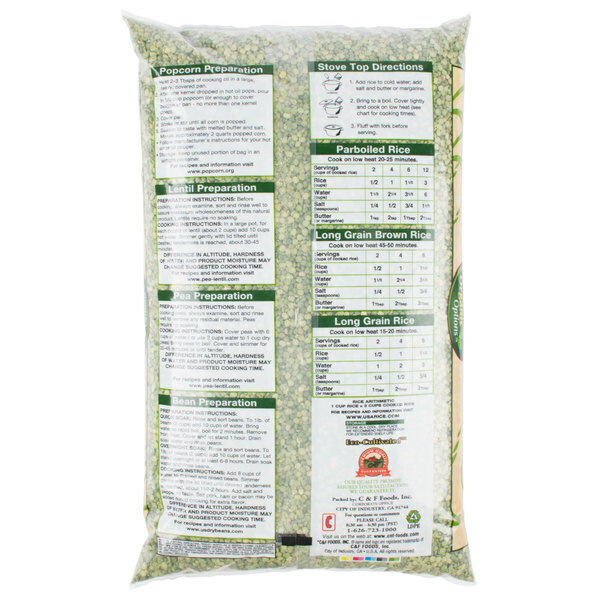 Item #: 111GRNSPLITS Dried Green Split Peas - 20 lb. 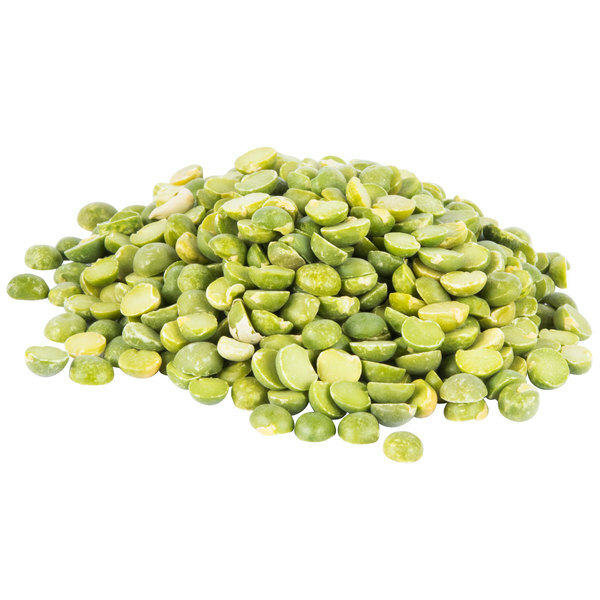 Item #: 111PEAWHLGRN Dried Whole Green Peas - 20 lb. 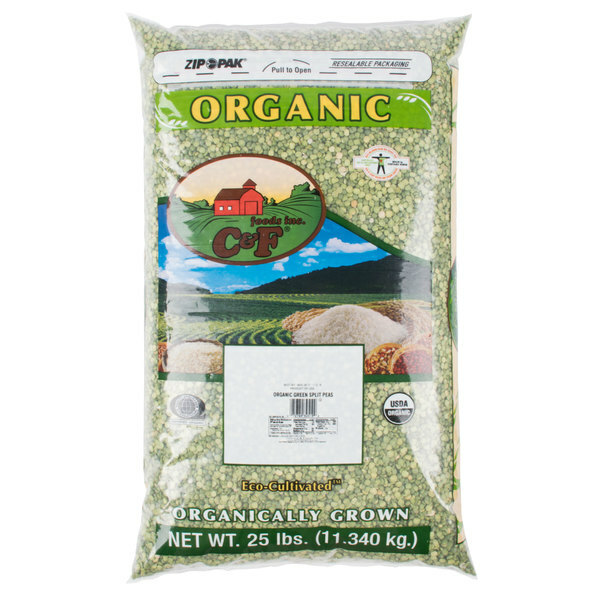 Overall User Rating: Organic Dried Green Split Peas - 25 lb. Love making split pea soup in the winter, and these green split peas are fabolous! Makes such a vibrant green soup and its a green food even the kids love! Love the fresh taste of these dried organic green split peas when cooked. They have a great taste and are well packaged. The price is great. Delicious, organic, and wonderful! Cooked up the whole 5lbs at once and made enough split pea soup for two whole meals for my large family (10 people). Also made enough Ethiopian split pea wot to feed my whole family for two more meals! That is 4 healthy, filling, satisfying, organic meals for a family of 10! Awesome price & quality! Gonna come back for 25lbs! The regal foods dried green split peas are excellent. I love making split pea soup with these. They are so nutritious and store really well. 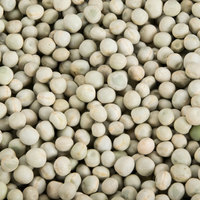 These split peas are a great addition to you bulk supplies. They are nutritious, the color is good, and they cook down excellently in anything.